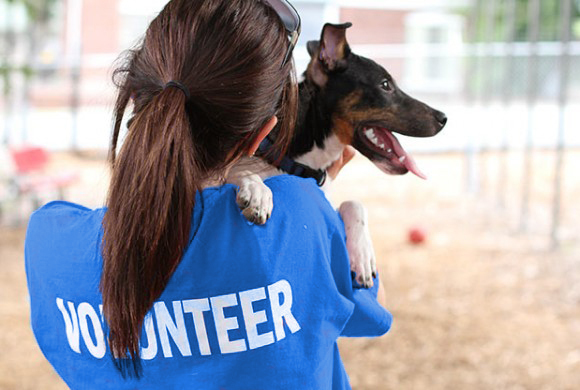 Do you have a passion for helping animals? We do! Without our volunteers, Humane Haven Animal Shelter simply wouldn’t be able to fulfill its mission of caring for, and placing, homeless animals from our community into loving Forever Homes. We recognize the hard work, dedication and importance of all the volunteers who work for Humane Haven! Anybody who has helped care for our cats and dogs, who has housed an animal, who has helped socialize a homeless pet or spread the important message about adopting from a rescue shelter is important to us! Without our volunteers, we couldn’t make the difference in the lives of so many animals! We are always looking for new volunteers who want to help care for our homeless pets, educate the public, organize fundraisers, spread our message, or help us to increase the impact that our donations can have in fulfilling our mission. Are you looking for the most rewarding work you will ever take on? Do you have a special skill with animals, business, publishing or technology that you think can help us? Please fill out the volunteer application below and let us know! Your volunteer application has been sent successfully.